Thousands of residents in Madrid, opposed to Sunday’s planned referendum on Catalonian independence, have held their own mock vote. 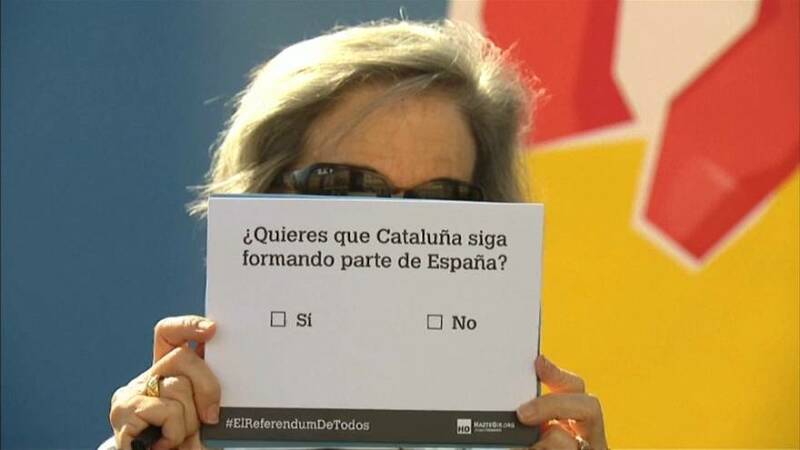 Under the slogan “the referendum of everybody” Hazte Oir, an organisation aimed at promoting public democracy, asked citizens to vote whether they want Catalonia to remain in Spain. Spain’s government insists that Catalonia’s independence vote, scheduled for October the first, will not go ahead. But Catalan authorities say they will declare independence within 48 hours if they secure a “yes” vote.